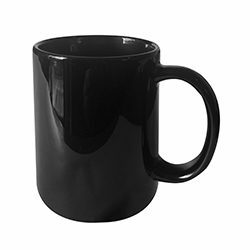 Simple but elegant, this black 11oz mug really adds a special touch of luxury. We use our specialised gold or silver printing system to really show up your logo. Maximum print size 90mm x 200mm. 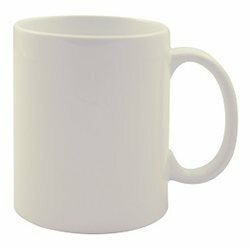 Everyone loves a cuppa and that’s why a white 11oz mug are such a popular choice with individuals or businesses. 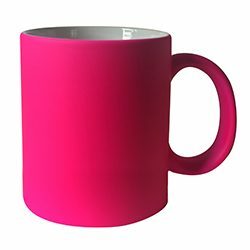 Your favourite drinkware will never get mixed up again with this fabulous fluro pink 11oz mug Maimum print size 90mm x 200mm. A classy addition to our premium range, our exclusive silver print has loads of eye appeal and is guaranteed to grab attention. 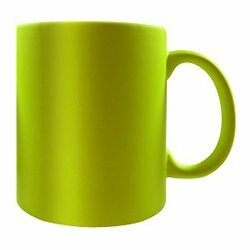 With silver printing on a ceramic black or white mug, it can be completely customised with your individual message, logo or unique design. A wonderful gift idea for that special someone, or as a corporate give-away for your extra special customers.